The paper in Nature Communications showed that, in young animals, Klotho expression soars after a muscle injury, whereas in old animals, it remains flat. By raising Klotho levels in old animals, or by mitigating downstream effects of Klotho deficiency, the researchers could restore muscle regeneration after injury. Dr. Ambrosio cautions that the timing, dosage and route of administration will require future research. Other McGowan Institute for Regenerative Medicine affiliated faculty members who served as co-authors on the paper include: Nam Vo, PhD, Donna Stolz, PhD, and Thomas Rando, MD, PhD. Illustration: Theoretical Mechanism. Sahu et al. (2018), Nature Communications. The McGowan Histology Core Laboratory is open to all university of Pittsburgh and outside the university, researchers. At the Histology laboratory you will find a friendly and knowledgeable staff. The Histology lab offers routine staining, special staining, and antibody work-up services. Lori Walton has worked for the University and UPMC, in histology for over 20 years, and is available to troubleshoot, or help to work up special circumstance staining for your individual needs. The lab utilizes many automated staining systems including an immuno-stainer, for uniform reproducible results. The lab is located on Technology Drive with shuttle stops routinely. 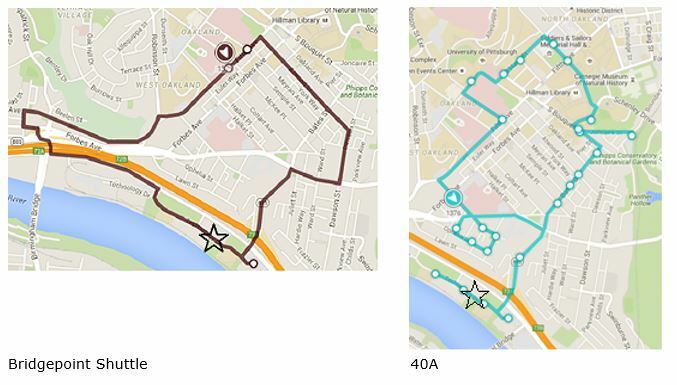 Check out Pitt Shuttle for times. Trichrome Stains are intended for use in the study of connective tissue, muscle and collagen fibers. Trichrome stains are used primarily for distinguishing collagen from muscle tissue. The McGowan Institute Histology Core Laboratory offers Masson Trichromes, automated staining results in one week or less, beautifully reproducible. As always, you will receive the highest quality histology work with the quickest turn-around time. The Flow Sytometry Core will be hosting a technical seminar titled, “Simultaneous Proteomics and Transcriptomics TotalSeq™ and The Future of Single Cell Analysis.” The seminar will be presented by Nathan Lucas, PhD, Technical Applications Scientist at Biolegend. It will be held Thursday, January 17th, 2019 at 12:00 pm – 1:30 pm at Bridgeside Point II, Room 503, 450 Technology Drive. Lunch will be provided. Antibody-oligonucleotide conjugates have numerous applications; they can be used as adjuvants or targeted drug delivery systems. As shown in a recent publication by Stoeckius et al., antibodies coupled with oligonucleotides can also be used to simultaneously quantify proteins and RNA at a single cell level. This method, termed CITE-seq (cellular indexing of transcriptomes and epitopes by sequencing), combines highly multiplexed protein marker detection with unbiased transcriptome profiling for thousands of single cells. This application will potentially transform how complex cell populations (e.g., lineage differentiation or tumor infiltrating lymphocytes) are studied. Compared to traditional flow cytometry, similar or even enhanced cell analysis is possible. For example, researchers utilizing CITE-seq are now multiplexing more than 80 antibodies to characterize cells, which is not achievable with current flow cytometry instruments. 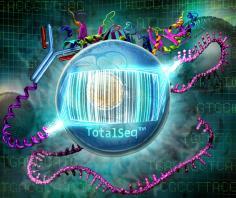 The aim of CITE-seq is not to replace flow cytometry, but to complement it. CITE-seq enables complex flow sorting strategies to be simplified, allowing researchers to optimize their protocols, minimize cell handling, and increase efficiency in their flow cytometry experimental set up. Alternatively, researchers may also need to enrich rare cell populations prior to single cell analysis. Initially, Stoeckius et al. used antibodies conjugated to streptavidin and biotinylated oligonucleotides to link the antibody and the oligonucleotide together. BioLegend now offers antibodies directly conjugated to oligonucleotides, under the BioLegend brand TotalSeq™, to help accelerate single cell genomics and other applications. To RSVP, please email nlucas@biolegend.com. Raffi Khatchadourian is a staff writer at The New Yorker. In preparing his article, “Degrees of Freedom,” Mr. Khatchadourian interviewed McGowan Institute for Regenerative Medicine faculty member Andrew Schwartz, PhD, Professor of Neurobiology at the University of Pittsburgh, and several of Dr. Schwartz’s clinical colleagues and their patients. “Degrees of Freedom” begins outside Minneapolis where Dr. Schwartz grew up and later attended the University of Minnesota. During his studies, the work of Paul Fitts, PhD, a psychologist at Wright-Patterson Air Force Base in the 1950’s, caught Dr. Schwartz’s attention. While trying to figure out the best design for a cockpit, Dr. Fitts had learned that the way a pilot’s arm reached for an instrument or a dial on a control panel could be precisely captured by an equation that took into account the target’s size and distance. Fitts’s law, as it was known, seemed to reveal a hidden mathematical order in the workings of the body. “That was the part that just hooked me,” Dr. Schwartz said. He decided to pursue a PhD in neurophysiology, staying on at Minnesota. 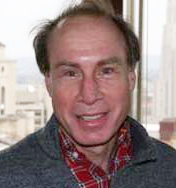 From Minnesota, Dr. Schwartz’s post-doctoral work and career had him crisscrossing the United States: Johns Hopkins University in Maryland, Barrow Neurological Institute and Arizona State University in Arizona, and University of Pittsburgh in Pennsylvania. It was when he was at Pitt that the Defense Advanced Research Projects Agency (DARPA) had decided to launch the most ambitious effort in history to give people mastery of brain-controlled robotics, and it was curious whether he was interested in participating. Mr. Khatchadourian takes the reader through DARPA’s focus, Dr. Schwartz’s pre-clinical research and laboratory work, and how the two became integrated. The clinical work this led to is highlighted extensively with in-depth interviews with patients, Jan Scheuermann and Nathan Copeland. Today, the Pittsburgh researchers have secured millions of dollars from the NIH to continue and expand their project. Dr. Schwartz, meanwhile, has resumed his quest to decode the cognition of movement. The more he delves into the brain, he told Mr. Khatchadourian, the more complicated it appears. Dr. Schwartz’s scientific journey that began with an investigation of the cognitive laws of motion was now leading him to new questions. Read the entire fascinating article from The New Yorker here. Inborn errors of metabolism, or inherited disorders caused by a single gene, affect two or three out of every 1,000 babies. Most of these disorders are extremely complex, but they are medically and nutritionally manageable with early diagnosis and highly tailored treatment. Because they are complex and require specialized approaches, inborn errors of metabolism comprise a broad class of diseases with hundreds of variants; treatment protocols are myriad. In many areas of medicine, protocols provide guidance to physicians to ensure an evidence-based approach to the treatment of disease. 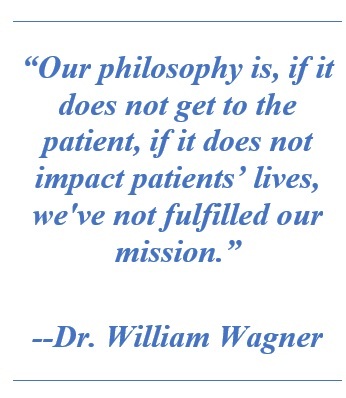 Because doctors carefully develop protocols to suit a particular condition, individual protocols are seldom adaptable. But physician-researchers at the Center for Rare Disease Therapy (CRDT) at UPMC Children’s Hospital of Pittsburgh are overcoming that barrier. By applying a novel protocol to metabolic diseases involving enzymatic concentrations in the liver, they’ve found that a protocol that works for one metabolic error holds promise for the treatment of other inborn errors. Nearly 15 years ago, UPMC Children’s developed the nation’s first comprehensive protocol for performing liver transplant in patients with Maple Syrup Urine Disease (MSUD), a rare disorder named after the sweet odor of affected patient’s urine. People with MSUD possess an enzymatic defect that renders them incapable of breaking down certain amino acids. Without management, the amino acids collect in the body, eventually causing neurological conditions and death. The UPMC team has performed more liver transplants for MSUD patients than any other transplant center in the world and all have been metabolically cured by liver transplant. 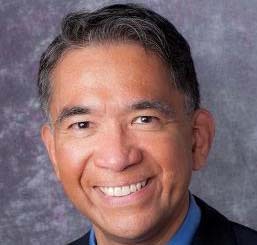 Transplant teams worldwide now follow the protocol established at UPMC Children’s. A key to understanding how a liver transplant can help is knowing the true nature of the problem. Metabolic diseases are generally caused by a defect in a single gene that instructs enzymes to change one substance into another. When those enzymes don’t work because of a genetic defect, metabolic pathways become disrupted. While MSUD does not originate in the liver (the enzyme deficit exists in all of the cells in the body), patients who receive a healthy liver have enough enzyme to overcome the shortage elsewhere. Could This Approach Work for Other Metabolic Diseases? Because of this shared characteristic of metabolic errors, experts at UPMC Children’s CRDT considered whether liver transplantation could work for other inborn errors of metabolism. Its multidisciplinary and collaborative approach focused on identifying new indications for conditions characterized by a missing enzyme that is concentrated in the liver. One of the most common inherited metabolic diseases is phenylketonuria (or PKU), which increases the levels of phenylalanine (an amino acid) in the blood. The most common form of PKU results from the absence of a single enzyme, phenylalanine hydroxylase. Other, more rare, forms of the disease relate to genetic defects in the metabolism of tetrahydrobiopterin, a compound essential for phenylalanine hydroxylase activity. Left untreated, PKU can lead to dangerous levels of phenylalanine in the body. So, could a liver transplant, or an infusion of liver cells, cure a child of PKU? Working together, physicians and surgeons at UPMC Children’s are exploring the possibilities. The team is looking to perform the world’s first experimental transplant of liver cells into a patient with phenylketonuria. The hospital is now the site of a clinical trial to determine whether hepatocyte transplantation may, in the future, offer an alternative to liver transplantation for patients with liver-based metabolic diseases. Pediatric liver transplant surgeon Kyle Soltys, MD, who is part of the team at the CRDT, says, “We have shown that for any metabolic disease where the missing enzyme is concentrated in the liver, a liver transplant will be curative because the donor liver provides the enzyme the patient lacks.” Someday soon, infusion of liver cells or gene therapy may even replace transplant as the treatment for this type of disease — and perhaps many others. Inari Medical, Inc. announced the enrollment of the first patient in the FlowTriever All-Comer Registry for Patient Safety and Hemodynamics (“FLASH”) using the FlowTriever® System for the treatment of pulmonary embolism (PE). McGowan Institute for Regenerative Medicine affiliated faculty member Catalin Toma, MD, Interventional Cardiologist, UPMC Presbyterian, is the Principal Investigator for FLASH. FLASH is a 500-patient prospective, multicenter registry study to evaluate real world outcomes after treatment of patients with intermediate and high-risk PE with FlowTriever. FLASH represents the latest investment in a robust pipeline of clinical studies and follows the completion of the FlowTriever Pulmonary Embolectomy (“FLARE”) clinical study early this year and the recent launch of the ClotTriever Outcomes Registry (“CLOUT”) evaluating outcomes after treatment of deep vein thrombosis (DVT) with Inari’s ClotTriever system. Measuring the percentage of weight regained following the maximum amount of weight lost after bariatric surgery can help predict a patient’s risk of several serious health problems, according to a long-term, multicenter study led by University of Pittsburgh Graduate School of Public Health researchers. McGowan Institute for Regenerative Medicine affiliated faculty member Stephen Belle, PhD, MScHyg, Professor in the Department of Epidemiology, Graduate School of Public Health and a Co-Director in the Epidemiology Data Center in the Graduate School of Public Health, is a co-author on the study. The results, published in JAMA, also found that, while on average study participants achieved maximum weight loss at two years post-surgery, when they reached that milestone varied substantially, with approximately 20 percent continuing to lose weight more than four years post-surgery. No matter when maximum weight loss occurred, the rate of weight regained was highest in the first year following maximum weight loss. This indicates early detection and treatment of weight regain may be important. Dr. King and her colleagues followed 1,406 adults who had undergone Roux-en-Y gastric bypass surgery, measuring their weight an average of 8.3 times over a period that averaged 6.6 years. The participants were enrolled in the National Institutes of Health-funded Longitudinal Assessment of Bariatric Surgery-2 (LABS-2), a prospective observational study of patients undergoing weight-loss surgery at one of 10 hospitals across the United States. Dr. King noted that five years after reaching maximum weight loss, participants maintained, on average, 73 percent of their maximum weight loss. “So, despite weight regain, in general patients are much healthier having had surgery,” she said. Additional authors on this study are Amanda Hinerman, MPH, and Wahed Abdus, PhD, of Pitt Public Health. The Department of Defense Office of the Congressionally Directed Medical Research Programs (CDMRP) announced that the FY18 Peer Reviewed Medical Research Program Discovery Award application submission from the laboratory of McGowan Institute for Regenerative Medicine affiliated faculty member Prashant Kumta, PhD, Edward R. Weidlein Chair and Professor at the University of Pittsburgh Swanson School of Engineering and School of Dental Medicine, was recommended for funding. The project entitled, “Novel Aptamer-Based Biosensor Platforms for Detection of Cardiomyopathy Conditions,” is awarded for $300K including indirect costs for 18 months. Members of Dr. Kumta’s lab involved in the research include: Moni K. Datta, PhD (principal investigator), Abhijit Roy, PhD, and Sangeetha Kunjukunju, PhD. Along with members from Dr. Kumta’s lab, McGowan Institute for Regenerative Medicine Deputy Director Robert L. Kormos, MD, Brack G Hattler Professor of Cardiothoracic Transplantation, Professor Cardiothoracic Surgery and Bioengineering, Department of Cardiothoracic Surgery, Heart and Vascular Institute, University of Pittsburgh Medical Center, is a co-inventor on the patent, related to this work. During a coronary bypass procedure, surgeons redirect blood flow using an autologous bypass graft, most often derived from the patient’s own veins. However, in certain situations where the patient does not have a suitable vein, surgeons must rely on synthetic vascular grafts which, while life-saving, are more prone to clot formation that eventually obstructs the graft. To improve the success rate of synthetic grafts, a research team led by the University of Pittsburgh are investigating whether the “active wrinkles” on the interior surface of arteries may help improve synthetic graft design and create a better alternative to autologous grafts for bypass surgery. 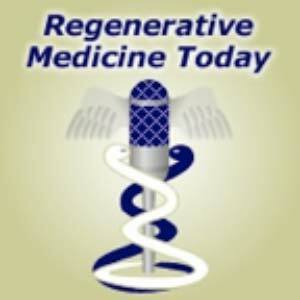 McGowan Institute for Regenerative Medicine Director William Wagner, PhD, Professor of Surgery, Bioengineering, and Chemical Engineering at the University of Pittsburgh, is a co-author on the studies. The research is being conducted by Sachin Velankar, PhD, associate professor of chemical engineering at the Swanson School of Engineering; Edith Tzeng, MD, professor of surgery in the School of Medicine; and Luka Pocivavsek, MD, PhD, a former resident in the Department of Surgery. Together with Dr. Pocivavsek, who is now a vascular surgery fellow at the University of Chicago, Drs. Velankar and Tzeng took inspiration from arteries to find a way to improve blood flow in synthetic grafts. Drs. Pocivavsek, Velankar, and Tzeng worked with a team of Swanson School of Engineering undergraduate students to create a model to test the idea that such surface “topographical” changes can play an anti-thrombotic role. They also enlisted the help of Dr. Wagner whose lab has expertise on how to measure fouling – the accumulation of unwanted material on surfaces. The team discovered that surfaces that repeatedly transition between a smooth to wrinkled state resist platelet fouling, a finding that could lead to thrombosis-resistant bypass grafts. Equipped with a strategy to improve the effectiveness of synthetic grafts, Drs. Velankar and Tzeng are eager to apply this research to clinical applications and received a $454,539 R56 award from the National Institutes of Health to fund clinical translation work. They are also interested in examining the biomechanics of the luminal wrinkling in actual arteries and recently received a three-year, $341,599 grant from the National Science Foundation to continue their study both in vivo and with animal specimens. Through a combination of simulation and experimentation, they hope to gain a better understanding of the functional role of luminal wrinkling. “We hope that our novel strategy to reduce fouling will lead to the development of medical devices that will improve the treatment of injured or diseased arteries,” said Dr. Velankar. Confident that their research may provide a positive outcome, the group created Aruga Technologies, a spin-off company from Pitt’s Innovation Institute. The company aims to develop synthetic vascular grafts that can be used for surgical procedures, such as a coronary artery bypass. Peripheral nerve matrix (PNM) is an injectable gel derived from porcine tissue that promotes and supports repair and regeneration in injured peripheral nerves. PNM technology is based on 4 years of research in the laboratory of McGowan Institute for Regenerative Medicine faculty member Bryan Brown, PhD, Assistant Professor in the Department of Bioengineering with secondary appointments in the Department of Obstetrics, Gynecology, and Reproductive Sciences and the Clinical and Translational Science Institute at the University of Pittsburgh, and the laboratory of McGowan Institute affiliated faculty member Jonathan Cheetham, VetMB, Diplomate ACVS, PhD, Associate Professor of Clinical Sciences at Cornell University. PNM is the first product for Renerva, LLC, a Pittsburgh-based medical device company developing innovative technology for peripheral nerve injuries. PNM is protected by five patents licensed from the University of Pittsburgh and Cornell University. Renerva, LLC, has received $2.4 million in nondilutive financing from the U.S. Department of Defense through a Medical Technology Enterprise Consortium (MTEC) Award. The award will enable Renerva to complete its preclinical program and begin human clinical trials. PNM has the potential to play a significant role in accelerating and improving structural and functional recovery following different modalities of nerve injury. “Remarkably, based on the impact shown in several animal studies, PNM has the potential to return functionality to patients that are left otherwise disabled from different types of nerve injury,” noted Chief Technology Officer Dr. Brown, who holds equity in the company. “With 20 million patients suffering from different types of peripheral nerve injuries in the U.S. alone, our technology has the potential to treat a broad range of nerve injuries. A peripheral nerve surgeon enthusiastically called PNM the ‘Neosporin® of Nerve Repair’, hinting at its broad potential and widespread adoption,” said Lorenzo Soletti, PhD, MBA, Chief Executive Officer of Renerva. “Our commercial rollout will first focus on PNM as an adjunct treatment for existing surgical procedures to repair or release traumatically or chronically injured peripheral nerves. Renerva’s Chief Medical Officer, Paul Gardner, MD, said, “While our initial clinical focus for PNM is in the upper extremities, which are associated with the highest incidence of traumatic nerve injuries, I treat many patients affected by nerve injuries in the head and neck as a result of tumors, traumatic injuries and other conditions. Facial nerve injuries have a very debilitating social impact on patients as the face is so intimately involved in our nonverbal communication and appearance. Indeed, nerve injury affects everything from facial sensation to swallowing and speech. Giving these patients even a portion of their function back would make a world of difference. Enhancing the ability of a nerve to heal would represent a true paradigm shift in this space.” Dr. Gardner holds equity in the company and is an Associate Professor in the University of Pittsburgh Department of Neurological Surgery and the Executive Vice Chair of Surgical Services and Neurosurgical Director of the UPMC Center for Cranial Base Surgery. For the complete interview, please click here. Election to NAI Fellow status is the highest professional distinction accorded solely to academic inventors who have demonstrated a prolific spirit of innovation in creating or facilitating outstanding inventions that have made a tangible impact on quality of life, economic development, and the welfare of society. Academic inventors and innovators elected to the rank of NAI Fellow status have been nominated by their peers for outstanding contributions to innovation in areas such as patents and licensing, innovative discovery and technology, significant impact on society, and support and enhancement of innovation. The Fellows Induction Ceremony will be held on April 11, 2019, at Space Center Houston in Houston, Texas. Dr. Badylak holds 64 issued patents across the fields of biomaterials, medical devices and tissue engineering, and has filed 18 more. He has prioritized clinical translation of his ideas, resulting in more than 40 of his patents being licensed to industry. 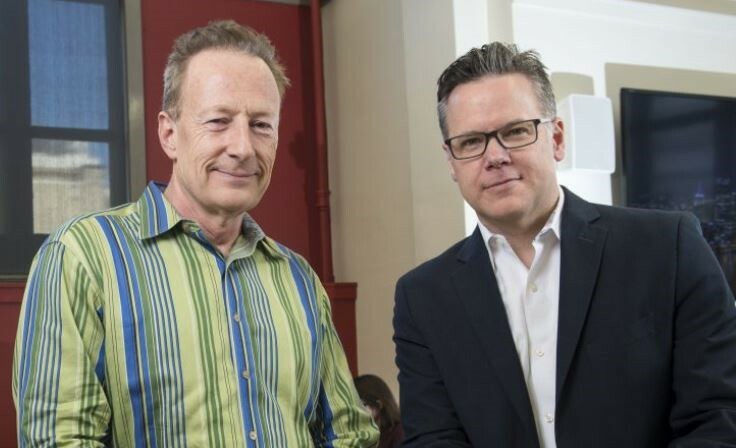 He also has assumed the role of chief scientific officer for a new startup company, ECM Therapeutics, based on a group of patents developed in his lab. Dr. Badylak’s discoveries have been translated to medical applications that have helped millions of patients, and his intellectual property has contributed significantly to the multibillion-dollar regenerative medicine industry. With the election of the 2018 class, there are now more than 1,000 NAI Fellows, five of them from the University of Pittsburgh. The collective issued U.S. patents held by all NAI Fellows totals more than 35,000. The 2018 NAI Fellows will be highlighted with a full-page announcement in the Jan. 25, 2019, issue of The Chronicle of Higher Education and in coming issues of Technology & Innovation. The complete list of NAI Fellows is available on the NAI website. 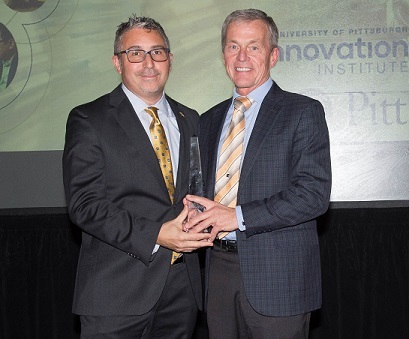 The Innovation Institute established the Outstanding Innovator Award in 2016 to recognize the lifetime achievements of Pitt faculty who have made an impact through the commercial translation of their research. It is named for Marlin Mickle, who holds the University record for invention disclosures filed, patents issued, and startups formed. Dr. Badylak’s record of innovation and entrepreneurship is remarkable and ranks among the most prolific in the history of the University. Importantly, his innovations in regenerative medicine have been used to facilitate the treatment of over 10 million patients and holds the potential to improve the lives of countless more around the world. Watch this video of Dr. Badylak and his notable story. Dr. Badylak is a Professor in the Department of Surgery, a Deputy Director of the McGowan Institute for Regenerative Medicine, and Director of the Center for Pre-Clinical Tissue Engineering within the Institute. In 1976, Dr. Badylak received his DVM from Purdue University. He then obtained an MS in Clinical Pathology from Purdue University in 1978, a PhD in Anatomic Pathology from Purdue University in 1981, and subsequently graduated with highest honors with a MD from Indiana University Medical School in 1985. Dr. Badylak practiced veterinary medicine at a mixed animal practice in Glenwood, Illinois, and in Hobart, Indiana. Dr. Badylak began his academic career at Purdue University as an Assistant Research Scholar at the Hillenbrand Biomedical Engineering Center in 1983, and subsequently held a variety of positions including Postdoctoral Research Associate (1985), Associate Research Scholar (1988), and served as the Director of the Hillenbrand Biomedical Engineering Center from 1993-1998. Dr. Badylak served as the Head Team Physician for the Athletic Department for 16 years (1985-2001). 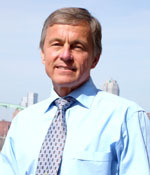 Prior to his move to Pittsburgh, Dr. Badylak served as Senior Research Scientist within the Department of Biomedical Engineering at Purdue University. Dr. Badylak holds over 60 U.S. patents, 300 patents worldwide, has authored more than 350 scientific publications and 40 book chapters. 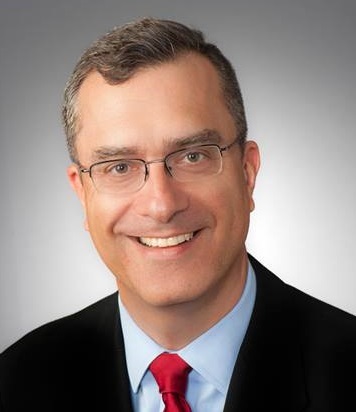 He has served as the Chair of the Study Section for the Small Business Innovative Research at the National Institutes of Health (NIH), and as chair of the Bioengineering, Technology, and Surgical Sciences Study Section at NIH. Dr. Badylak is now a member of the College of Scientific Reviewers for NIH. Dr. Badylak has either chaired or been a member of the Scientific Advisory Board to several major medical device companies. Dr. Badylak is a Fellow of the American Institute for Medical and Biological Engineering, a charter member of the Tissue Engineering Society International, and past president of the Tissue Engineering Regenerative Medicine International Society. He is also a member of the Society for Biomaterials. Dr. Badylak is the Editor-in-Chief of the Journal of Immunology and Regenerative Medicine and serves on the editorial board of several other journals. 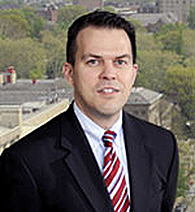 He has received many awards, including the Sigma Xi Scientific Society 2002 Research Award, the Pittsburgh Business Times Hero in Health Care Innovation & Research for 2005, the 2005 and 2008 Carnegie Science Center Award for Excellence, the 2005 Clemson Award from the Society for Biomaterials, and the Chancellor’s Distinguished Research Award in 2008. Dr. Badylak is the third recipient of this award named for the late Marlin Mickle, from the Swanson School of Engineering, who is known as the pioneer of the field of Radio Frequency Identification (RFID). Dr. Mickle is the University’s all-time leader in most categories that measure innovation commercialization, including issued patents and licenses. Dr. Badylak is among the top handful of faculty in those categories. Previous McGowan Institute for Regenerative Medicine affiliated faculty members winning this prize include: Rory Cooper, PhD (2016) and Joseph Glorioso, PhD (2017). Illustration: Evan Facher, PhD, MBA, Vice Chancellor for Innovation and Entrepreneurship and Director of the Innovation Institute, presents the 2018 Marlin Mickle Outstanding Innovator Award to Stephen Badylak, DVM, PhD, MD, Deputy Director of the McGowan Institute for Regenerative Medicine. Photo Credit: Michael Drazdzinski. The AAAS, the world’s largest scientific society, elects fellows each year to recognize their efforts to advance science or its applications. A lifetime honor, fellows are selected by their AAAS peers. The recognition marks Dr. Pollock’s second national honor this year—he received the Presidential Award for Excellence in Science, Mathematics and Engineering Mentoring from the White House Office of Science and Technology Policy and the National Science Foundation (NSF) in June. 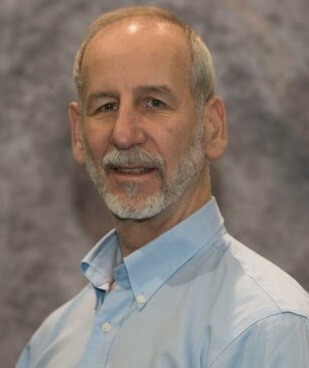 The honor recognizes Dr. Pollock’s 29-year career in teaching university courses in neuroscience and biology, his research on chronic pain and his work in developing educational and multimedia resources for school children, including Emmy®-Award-winning broadcast television and award-winning iOS/Android educational apps. With degrees in physics and biophysics, Dr. Pollock has produced a wide range of educational resources, including museum and traveling exhibits and interactive software and video games for the classroom. He also helped to start science summer camps for children from underserved areas, reads with 4- and 5-year-old children weekly and serves museums in Pittsburgh and beyond. In addition to his teaching position, Dr. Pollock directs an active research program with undergraduate and graduate students studying chronic pain treated with nanomedicines. He is co-director of Duquesne’s Chronic Pain Research Consortium and Director of the Partnership in Education, a STEM education and health literacy research group that has developed apps on topics including why we need sleep, sports-related concussions and health literacy for pediatric transplant patients. Dr. Pollock’s work has been funded by the NSF, the National Institutes of Health (NIH), the NIH Science Education Partnership Award, the U.S. Department of Education, and corporate and foundation support, among other sources. Dr. Pollock will be presented with an official certificate and a gold and blue rosette pin at the AAAS Fellows Forum during the 2019 AAAS Annual Meeting on February 16, 2019, in Washington, DC. This is the first in a series of an occasional pieces, introducing and highlighting one of the research focus areas that is being developed by McGowan Institute-affiliated faculty members. Organogenesis is the process by which internal organs are formed. This complex biological process takes place during the embryonic phase of mammalian development but, in some cases, is reactivated during regenerative processes like after a hepatectomy—the surgical resection of the liver—when the liver regenerates. 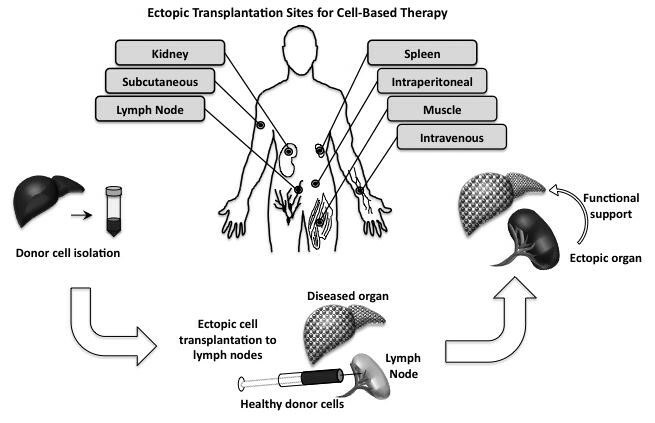 The advancements in organ transplantation have been significant including vast improvements in immunosuppression – which is so critical for the long-term survival of the transplanted tissue or organ. Dr. Thomas E. Starzl performed the world’s first successful liver transplant in 1967. In 1980, he brought the field a huge step forward when he introduced the antirejection medications antilymphocyte globulin and cyclosporine. When, in 1981, Starzl joined the University of Pittsburgh School of Medicine, he refined this approach, which soon became the accepted transplant regimen for patients with irreversible liver, kidney, and heart failure. That year also spawned more than 25 years of major advances by Starzl and Pitt researchers, the impact of these still evident today. Principal among these advances was the development of the anti-rejection drug FK-506, first reported in 1989, which markedly increased survival rates for all types of organ transplants; allowed, for the first time, successful small intestine transplants; and, because of fewer side effects, greatly improved the quality of life of children. Even today, immunosuppression is a necessary “consequence” of receiving a transplant. Perhaps even more challenging today is finding a suitable organ to treat a patient who has organ failure. 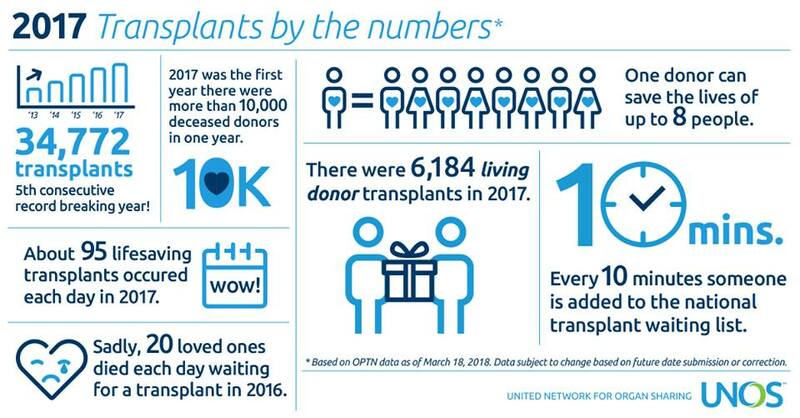 The United Network for Organ Sharing reported in 2017 that every 10 minutes in the U.S. someone is added to the national transplant waiting list. Sadly, 20 loved ones died each day waiting for a transplant in 2016. So, alternative approaches to address organ insufficiency are a high-priority need across the medical community. 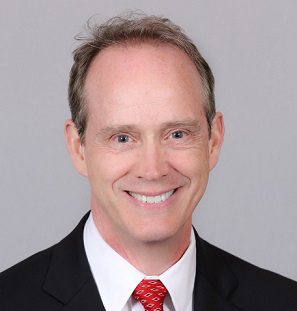 McGowan Institute for Regenerative Medicine faculty member Eric Lagasse, PharmD, PhD, and his colleagues have demonstrated that organogenesis offers an alternative approach to address organ insufficiency for the liver, thymus, pancreas, and kidney. The initial research was on the liver, so that organ system has the most mature findings. The team has demonstrated in a pre-clinical study that when liver cells are injected into a lymph node, the modified lymph node produces liver function. Preliminary studies with other organs (thymus, pancreas, kidney) indicate that the role of these organs can be replicated when cells are injected into a lymph node. When might this therapy be available? Taking the work out of the lab and translating it into as clinically and commercially viable product development platform is the goal of Dr. Lagasse’s new Pittsburgh-based spin-out company. LyGenesis, Inc.LyGenesis, Inc. is an organ regeneration company enabling a patient’s own lymph nodes to be used as bioreactors to regrow functioning ectopic organs. Their initial target organ for clinical development is liver regeneration, with a focus on helping patients with end stage liver disease (ESLD). For more details on LyGenesis see Record Breaking Pitt Startup Flipping the Script on Organ Transplantation. Photo: Dr. Eric Lagasse, chief scientific Officer and Dr. Michael Hufford, CEO, LyGenesis (Dr. Paulo Fontes, CMO, not shown). Much work needs to be completed before this promising technology reaches the patient, but as the graphic below identifies there is a plan and Dr. Lagasse and the team are committed to realize a successful outcome. #191 –– Dr. Kacey Marra discusses her research in nerve gap repair and her work in educational outreach. Title: Age-related declines in α-Klotho drive progenitor cell mitochondrial dysfunction and impaired muscle regeneration. Summary: While young muscle is capable of restoring the original architecture of damaged myofibers, aged muscle displays a markedly reduced regeneration. We show that expression of the “anti-aging” protein, α-Klotho, is up-regulated within young injured muscle as a result of transient Klotho promoter demethylation. However, epigenetic control of the Klotho promoter is lost with aging. Genetic inhibition of α-Klotho in vivo disrupted muscle progenitor cell (MPC) lineage progression and impaired myofiber regeneration, revealing a critical role for α-Klotho in the regenerative cascade. Genetic silencing of Klotho in young MPCs drove mitochondrial DNA (mtDNA) damage and decreased cellular bioenergetics. 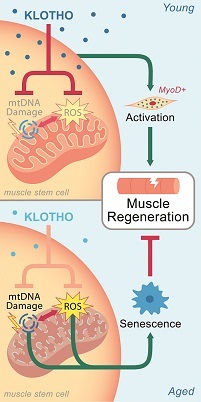 Conversely, supplementation with α-Klotho restored mtDNA integrity and bioenergetics of aged MPCs to youthful levels in vitro and enhanced functional regeneration of aged muscle in vivo in a temporally-dependent manner. These studies identify a role for α-Klotho in the regulation of MPC mitochondrial function and implicate α-Klotho declines as a driver of impaired muscle regeneration with age. Source: Nature Communications. 2018 Nov 19;9(1):4859. Description: Cardiovascular diseases (CVDs) including cardiomyopathy conditions are the primary cause of death worldwide, causing 31% of all deaths (17.5 million deaths/year), and will only continue to grow in prominence contributing to greater healthcare costs with rise in risk factors such as obesity, diabetes, and hypertension. Unfortunately, CVDs are clinically silent until serious complications arise, and current diagnostic tools for CVD detection are unreliable, time consuming, and expensive requiring specialized instrumentation and trained personnel making CVD screening difficult. Hence, there is a need for a point-of-care device for rapid screening and monitoring of cardiomyopathy conditions and progression to decrease incidence, deaths, and healthcare costs. The objective of this study is to develop a CVD screening and monitoring tool by simplifying the current biochemical marker sensing and detection in the bloodstream. The novel biosensor comprises generating vertically aligned platinum wires in an epoxy substrate functionalized with robust aptamers to create a multi-array impedimetric biosensor for rapid detection of cardiac markers from few drops of blood. The impedimetric sensing platform is label-free, simplistic and amenable for conversion to a portable handheld device. The use of aptamers enhances specificity, selectivity and precision including the potential for regeneration, thereby creating a reusable biosensor. The proposed studies will open new avenues for early cardiomyopathy disease/condition detection and treatment serving as an opportunity for even in-house point of care detection.